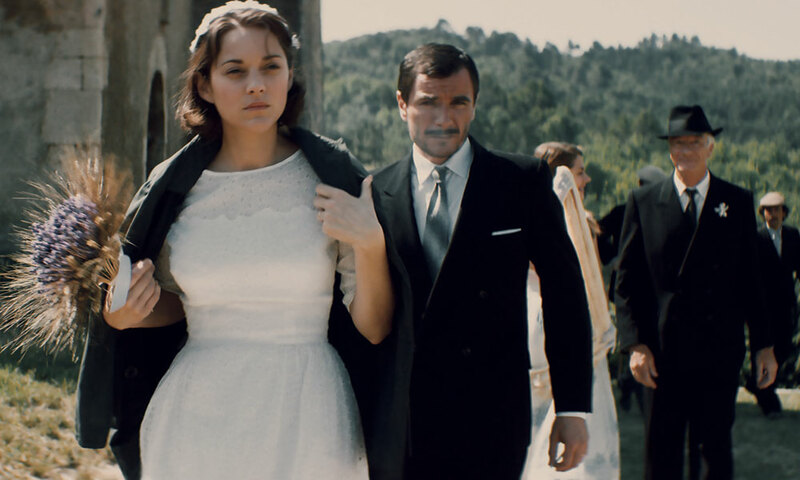 From ‘The Land Of The Moon’ stars Marion Cotillard and is by Nicole Garcia, one of only 3 female directors in Cannes’ main competition. This year’s official jury has been announced for the 69th edition of Cannes Film Festival, which will take place from May 11th through 22nd. Festival president and Australian director, George Miller, will be joined by Arnaud Desplechin, Kirsten Dunst, Valeria Golino, László Nemes, Vanessa Paradis, Katayoon Shahabi, Mads Mikkelsen and Donald Sutherland. The nine members will pick the best of the best from the 22 films included in the official ‘In Competition’ category which features quite a few first time directors, as does the ‘Un Certain Regard’ selection. Although not a part of the juried selection, Woody Allen’s film, Café Society will open the main competition which also includes films from Pedro Almodóvar, Jim Jarmusch, and Nicole Garcia, to name just a few. One competing title that is getting a lot of buzz is The Neon Demon. Directed by Danish director, Nicolas Winding Refn, the movie centers around an upcoming model, played by Elle Fanning, whose meteoric rise to fame plunges her into a dark and dangerous world. Another favorited feature of the competition is Hands of Stone from Venezuelan director, Jonathan Jakubowicz. The film tells the story of Panamanian boxer Roberto Duràn (Edgar Ramírez) and manager and coach Ray Arcel (Robert De Niro). It has just been announced that De Niro will be honored in a special screening of Hands of Stone on Monday, May 16th. The actor starred in 1976’s Taxi Driver and 1986’s Mission, two films that won Cannes’ prestigious Palmes d’or. Other screenings to look out for during Cannes include Money Monster from actress-turned-director, Jodie Foster, Steven Spielberg’s The BFG, and Gimme Danger, Jim Jarmusch’s film about legendary musician, Iggy Pop. The performer will be present for a special midnight showing of the film. Cinema’s elite will flock to the red carpet of Cannes, appearances from Julia Roberts, Marion Cotillard, George Clooney, Kristen Stewart, Charlize Theron, Jesse Eisenberg, Jodie Foster, Fabrice Lucchini, Javier Bardem, Isabelle Huppert, Iggy Pop, Juliette Binoche, and Sean Penn have already been confirmed. On a less glamorous note, Cannes is again getting flack for their lack of female directors. While women directors made up 33% of the competitors at this year’s Tribeca Film Festival, Cannes number of female talent is less than half that and tops out at 15% in the main competition where more than 20 films are featured but only three are directed by women. These include American Honey by Andrea Arnold, Toni Erdmann by Maren Ade, and From the Land of the Moon by Nicole Garcia. Females fared slightly better in the ‘Un Certain Regard’ category, which includes four films by female directors, out of 17 entries. See the full 2016 Cannes Official Selection below. Opening Film: Woody Allen (USA) – CAFÉ SOCIETY *Out of Comp.